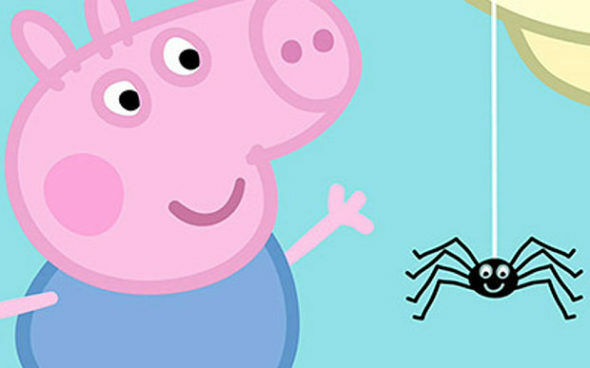 Australia’s public broadcaster has banned an episode of Peppa Pig, the popular children’s cartoon, because it featured a friendly spider and sent an “unsuitable” message to children that the insects may not be dangerous. 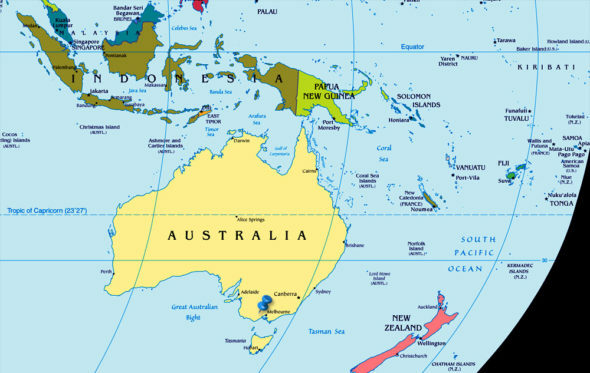 Australia has some of the world’s most deadly spiders. The five-minute episode, called “Spider’s Web,” features an apparently innocuous spider called Mr. Skinnylegs. The family takes a great interest in the spider and learns to avoid disturbing its web. 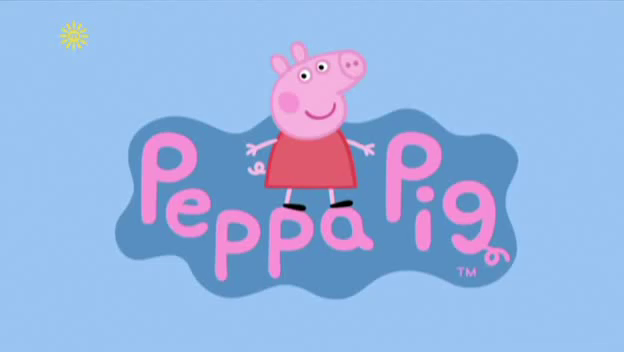 The ABC [Australian Broadcasting Corporation] agreed that the episode sent the wrong message to children and apologized for running it. The complaint was reported in recent days by the local media, though it was not clear why the incident only emerged this week. Deaths from spiders in Australia are exceedingly rare and the creatures are less life-threatening than sharks or bees. Antivenom for most of the country’s more dangerous spiders has been available for decades. But the current summer in Australia has reportedly seen an increase in spider-related injuries and has led to public warnings. Last year, paramedics in Sydney attended 319 spider-related incidents in Sydney. There have already been 102 incidents recorded in 2015. Forty-three incidents in the past fourteen months involved the funnel web, the nation’s most dangerous spider. No deaths from funnel web spiders have been recorded since an antivenom was introduced in 1981. 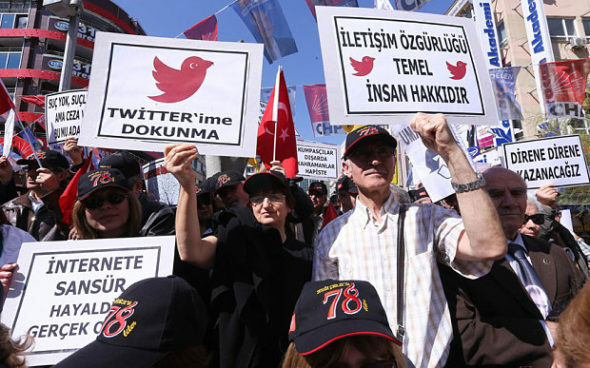 Turkey is the country which made the most requests for removal from Twitter in the last six months of 2014, according to the social network’s latest transparency report. Twitter is extremely popular in Turkey with 12 million users in a nation of nearly 75 million – the total Twitter user population is 288 million, according to the Financial Times. The decision to block Twitter in March 2014 came after audio recordings allegedly revealed corruption among those close to Recep Tayyip Erdoğan, the then Turkish prime minister [who is now President]. They had been widely shared on Twitter. It was a tense period ahead of the country’s local elections and despite the outrage and upset the ban caused, the leading [Islamist/conservative Muslim] Justice and Development Party (AKP) [Erdoğan’s party] won the majority of votes. Mr. Erdoğan became president in August. According to Twitter’s report, the U.S. topped a list of countries’ governments requesting account information – Turkey came second with 356 requests made and in the UK, 116 requests were made. Egypt said on Monday it has launched airstrikes against ISIS targets in Libya after the extremist group released a grisly video showing the beheading of several Egyptian Coptic Christians it had held hostage for weeks. 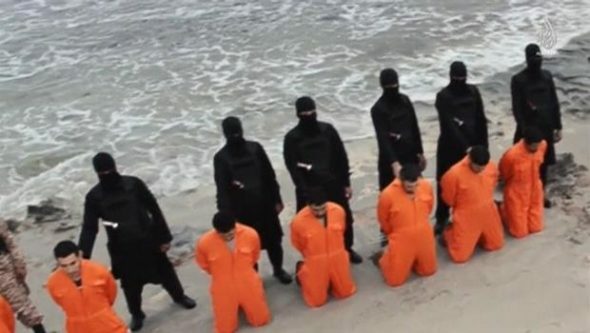 Men in orange jumpsuits purported to be Egyptian Christians held captive by ISIS kneel in front of armed men along beach said to be near Tripoli, in still image from a Feb. 15 video. A spokesman for Egypt’s Armed Forces General Command announced the strikes on state radio Monday, marking the first time Cairo has publicly acknowledged taking military action in neighboring Libya, where extremist groups seen as a threat to both countries have taken root in recent years. Libya’s air force meanwhile announced it had launched strikes in the eastern city of Darna, which was taken over by an Islamic State affiliate last year. The announcement, on the Facebook page of the Air Force Chief of Staff, did not provide further details. It was one of the first such beheading videos from an Isil affiliate to come from outside the group’s core territory in Syria and Iraq. b) Why did a viewer complain about a children’s cartoon episode that featured a friendly spider? c) What do you learn from this news brief about the deaths/serious injuries caused by spiders in Australia? d) Do you think the existence of many venomous spiders in Australia justifies the viewer’s complaint? Do you think the ABC was right for banning the episode? Explain your answers. 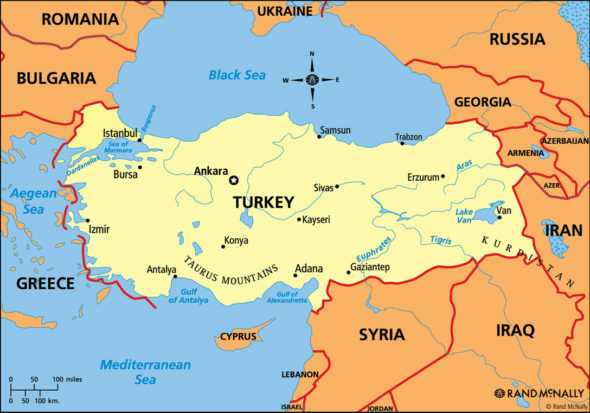 b) Approximately what percent of Twitter users are from Turkey? c) Why was Twitter blocked in Turkey in March? d) How do you think U.S. and British requests for Twitter to block specific tweets differ from the requests of the Turkish government? b) A spokesman for Egypt’s military announced the airstrikes on state radio, marking the first time Cairo has publicly acknowledged taking military action in neighboring Libya. 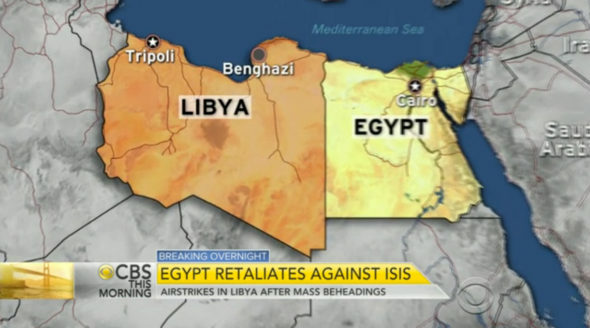 What did the Egyptian government say was the purpose of the airstrikes? c) Do you think that the U.S. government should make such an announcement when we conduct airstrikes on ISIS? (Would you want them to?) Explain your answer. d) Read the “Background” and watch the news video under “Resources.” Why are Egyptians living in Libya a major concern for the Egyptian government? Facebook’s transparency report for the first half of 2014 further illustrates the attack on freedom of expression online in Turkey. 1,893 pieces were successfully censored in Turkey and only India was higher with 4,960 pieces. Since the Gezi protests in the summer of 2013 and the breakdown in relations between exiled preacher Fethullah Gulen [who promotes interfaith dialogue with Jewish people] and Mr. Erdoğan, individuals’ right to freedom of expression is more limited, especially for journalists. Ms. Kabaş is now facing up to five years in jail on charges of “targeting public servants tasked with fighting against terrorism” in her tweet, Today’s Zaman reported. Egypt has strongly backed the internationally recognized government, and US officials have said both Egypt and the United Arab Emirates have taken part in a series of mysterious airstrikes targeting Islamist-allied forces. Egypt’s army has posted a video of the jets taking off on their Facebook account. The Egyptian government declared a seven-day mourning period after the release of the video and President Abdel Fattah el-Sissi addressed the nation late Sunday night, pledging resilience in a fight against terrorism. An Egyptian government official told CBS News’ Alex Ortiz that, by the Foreign Ministry’s count, there are around 1.5 million Egyptian nationals currently in Libya — a common destination for Egyptian migrant workers. The concern in Cairo is not only that things could militarily escalate between Egypt and Islamist groups in Libya, but that there are many, many Egyptian targets who could become victim to more ISIS attacks. The same official tells Ortiz the focus now is on evacuating those nationals — but that’s a huge number of Egyptian citizens in Libya, and it’s unclear how Egypt can evacuate them in a hurry. 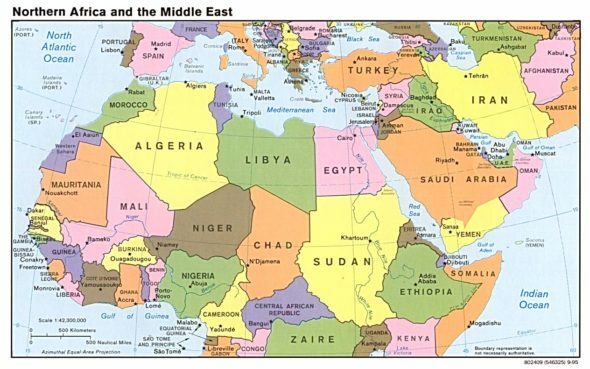 Coptic Christians [Copts] in Egypt constitute the largest Christian community in the Middle East, as well as the largest religious minority in the region, accounting for an estimated 10% of Egyptian population. Religious freedom in Egypt is hampered to varying degrees by discriminatory and restrictive government policies. Copts [and other Christians] have faced increasing marginalization after the 1952 coup d’état led by Gamal Abdel Nasser. Coptic Christians [known as ‘Copts’] do not see themselves as a cultural or ethnic minority but Egyptians whose ancestors embraced Christianity in the first century.